"Everyone has some kind of place that makes them feel transported to a magical realm. For some people it's castles with their noble history and crumbling towers. For others it's abandoned factories, ivy choked, a sense of foreboding around every corner. For us here at Curious Expeditions, there has always been something about libraries. 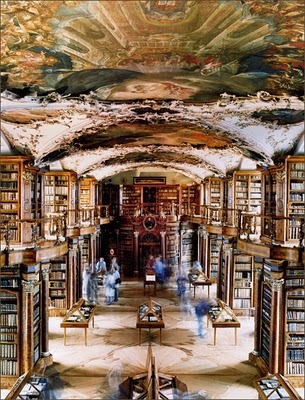 Row after row, shelf after shelf, there is nothing more magical than a beautiful old library."